Our goal at Bayside is consistent excellence. Whether you have one favorite dish or enjoy sampling from throughout the menu, we hope Bayside will become a regular dining destination for you and your most cherished guests. Dining at Bayside Seafood Grill & Bar reflects the day-to-day leadership in the kitchen from Chef Abel Gonzalez with the influence of Tony Ridgway’s nearly 5 decades of success as a restaurateur in Naples. You’ll find that, true to our name, seafood is featured throughout our menus, and we source the best and freshest from our vendors, including using local product. But all palates and preferences will find something to enjoy at Bayside, including pastas, steaks, chicken and more. 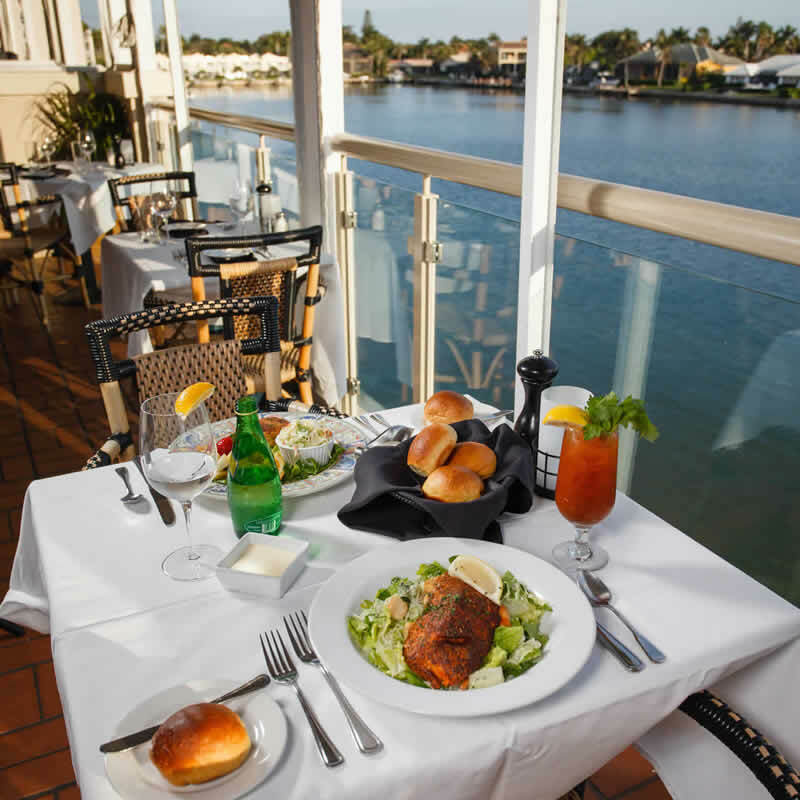 The Grill is Bayside’s signature fine dining space, located on the second level, offering a sophisticated setting for lunch, dinner, and Sunday brunch. Our inviting first-floor Café is your go-to for a casual late lunch or dinner, and includes a full bar. For the best of all worlds, enjoy the Grill menus on our open-air Upper Deck, available for seated dining, cocktails at our high-top tables, or gather in our lounge seating and enjoy year-round live music by local entertainers. We pride ourselves on prepping as much as we can from scratch, and several of our featured desserts are made in-house by our sister establishment in Old Naples, Tony’s Off Third. Those with medical dietary needs are encouraged to inquire about special accommodations. The menus listed here may be subject to change seasonally or according to the availability of our freshly sourced ingredients, so please check with us if you have a specific question about an item. A children’s menu is also available. The seafood and fish you enjoy at Bayside are delivered fresh every morning, and select breads and desserts are baked and delivered daily from Tony’s Off Third Wine & Pastry Shop in Old Naples. Consuming raw or undercooked meats, poultry, seafood, shellfish or eggs may increase your risk of foodborne illness. Many of our dishes can be made to accommodate your dietary restrictions and allergies. Please ask your server. WE HOPE YOU ENJOY YOUR DINING EXPERIENCE AT BAYSIDE SEAFOOD GRILL & BAR! ASK TO SEE OUR AMAZING DESSERT, DESSERT WINE & SPECIALTY COFFEE MENU. TONY’S OFF THIRD WINE & PASTRY SHOP IN OLD NAPLES. 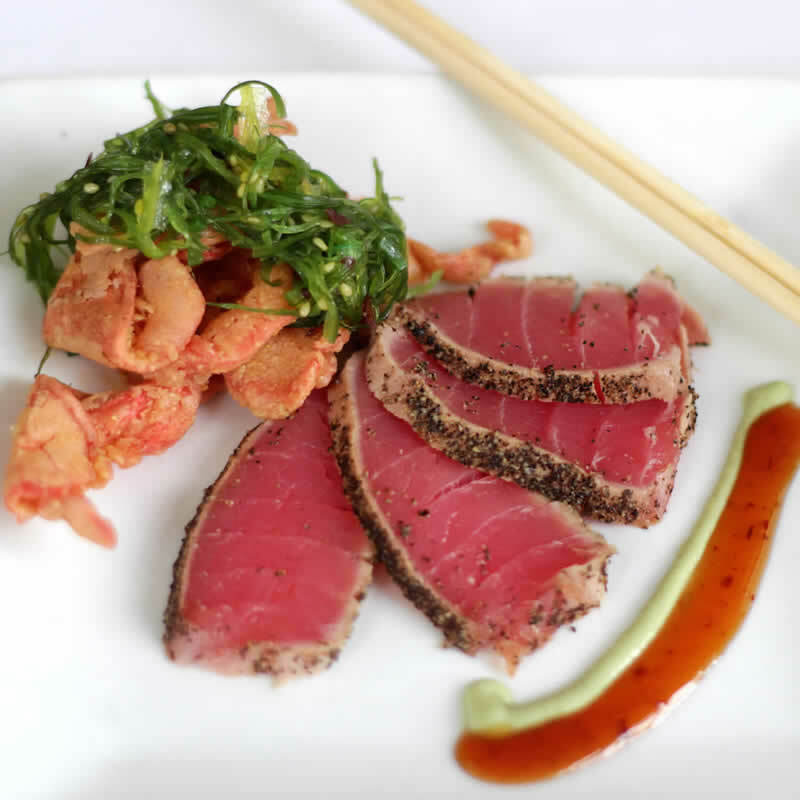 Many of our dishes can be made to accommodate your dietary restrictions and allergies. Please ask your server. $6 plate charge for split entrées. Kindly refrain from using cell phones in the dining room. There is a risk associated with consuming raw oysters. If you have a chronic illness of the liver, stomach, or blood, or have an immune disorder, you are at greater risk of serious illness from eating raw oysters and should eat oysters fully cooked. Consuming raw or undercooked meats, poultry, seafood, shellfish or eggs may increase your risk of foodborne illness. Our seafood & fish are delivered fresh daily. Consuming raw or undercooked meats, poultry, seafood, shellfish, or eggs may increase your risk of foodborne illness. A $25.00 corkage fee will be applied when wines not available on our wine list are brought in by guests.